World Cancer Day is marked on February 4 to raise awareness of cancer and to encourage its prevention, detection, and treatment. World Cancer Day was founded by the Union for International Cancer Control (UICC) to support the goals of the World Cancer Declaration, written in 2008. 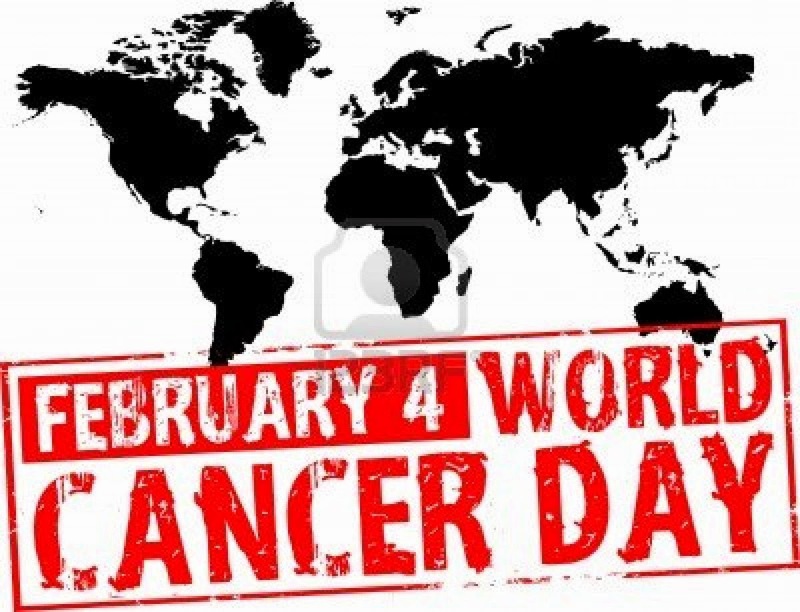 The primary goal of the World Cancer Day is to significantly reduce illness and death caused by cancer by 2020. Around 1,000 people in the UK are to be told they have cancer today and the diagnoses are expected to continue at the same rate until at least the end of next year, according to a charity. Cancer is when abnormal cells divide in an uncontrolled way. Some cancers may eventually spread into other tissues. There are more than 200 different types of cancer. Lifetime risk is a calculation of the likelihood of someone being diagnosed with cancer at some point during their life. It is often presented as a proportion – such as one in two – or a percentage. For every two people born today, it is expected that one could be diagnosed with cancer, however a large range of genetic and lifestyle factors mean the risk for each person is different. Has there been a sudden jump in lifetime risk? No. The latest figure is based on a new calculation method so should not be compared to previous figures – of one in three – which Cancer Research UK say underestimated lifetime cancer risk. What is the reason for the rise? Cancer is a disease of genes. Over time, mistakes accumulate in DNA code and these can kickstart a cell’s journey towards becoming cancerous. The longer we live, the more time we have for these mistakes to build up. Are changes in lifestyle also a reason for the rise in risk? Yes. Diets high in red and processed meats have contributed to the rise in bowel cancer. Obesity increases the risk of developing a number of cancers. Sunbathing and sunbeds contribute to the rising rates of skin cancer. Treatments include surgery, radiotherapy, chemotherapy, hormone therapy, biological therapies, bisphosphonates and bone marrow and stem cell transplants. Unusual lumps or swelling anywhere on the body, changes in appearance of a mole, ulcers lasting longer than three weeks, a persistent cough or croaky voice lasting longer than three weeks, blood in urine or faeces, unexplained weight loss or heavy night sweats. Experts estimate that more than four in 10 cancer cases could be prevented by lifestyle changes, such as: not smoking, keeping a healthy body weight, cutting back on alcohol, eating a healthy balanced diet, keeping active, avoiding certain infections (like HPV), avoidance of radiation and some chemicals and staying safe in the sun.